About 90 million people - roughly half Nigeria's population - live in extreme poverty, according to estimates from the World Data Lab's Poverty Clock. Around June 2018, Nigeria overtook India, a country with seven times its population, at the bottom of the table. Put in another context, if poor Nigerians were a country it would be more populous than Germany. Almost six people in Nigeria fall into this trap every minute. Extreme poverty statistics have always been controversial. A number of countries and experts disagree with the way it is measured in monetary terms – the World Bank’s $1.90 earnings-per-day benchmark. But no matter what the arguments might be, at the root of poverty lies the deprivation of people’s access to basic necessities such as food, healthcare and sanitation, education and assets. And the evidence - including from India - shows that solving these issues generally lifts populations out of extreme poverty. As global attention turns towards my country, Nigeria, here are three ways that concerned stakeholders and policymakers can assist in the efforts to achieve the first of the Sustainable Development Goals (SDGs) - to end poverty. Nigeria is home to over 10 million out-of-school children, around half of whom are girls - and it is hardly coincidental that the country with the world’s highest number of out-of-school children is home to the highest number of people living in extreme poverty. Two-thirds of this population are concentrated in Nigeria’s highly populated north west and north-eastern regions, both of which have been ravaged by the terror group, Boko Haram, resulting in an educational emergency affecting about 2.8 million children. The 2018 Global Multidimensional Poverty Index (MPI) of the Oxford Poverty and Human Development Initiative best presents this picture. The poorest parts of Nigeria had the worst education indicators (school attendance and years of schooling) and these constitute the biggest percentage contribution to the MPI, followed by nutrition and child mortality – all issues that affect women the most. Educating girls is proven to have both economic returns and intergenerational impact. For Nigeria to improve on this front, it must increase its investment in education. My state, Kaduna - where I oversee the organization with the mandate of planning and fiscal resource allocation - has consistently increased its education budget over the past decade. As a result, enrolment figures have doubled from 1.1 million students in 2015 to 2.1 million students in school today. The state now ranks the highest in the northern region, recording the highest score in the senior school certificate examinations. Increased investment in healthcare is linked to economic growth, and consequently to reducing poverty. Nigeria is battling with a number of crushing health indicators including malaria, tuberculosis and infant and maternal mortality, all of which have a sweeping impact on productivity. He was right. 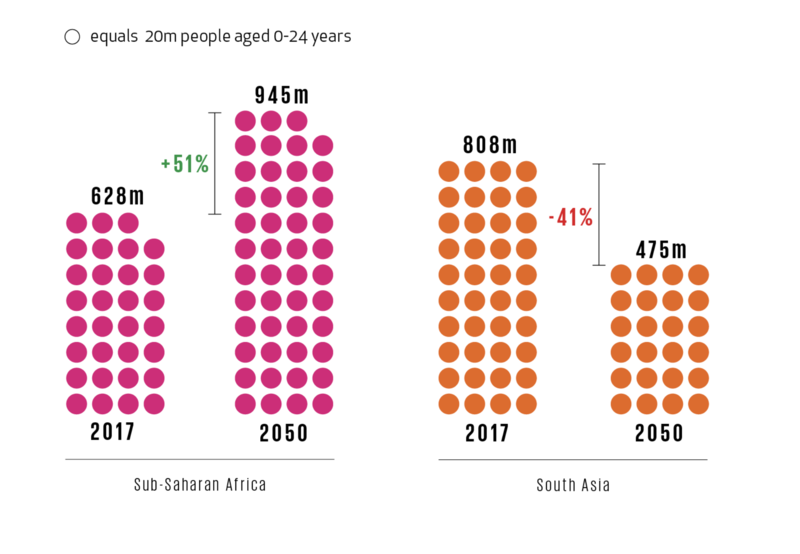 Sub-Saharan African countries - the last frontiers of poverty in the world - are witnessing explosive population growth, and the region is projected to grow by about 51% over the next three decades. The UN projects that Nigeria will have an estimated 398 million people by 2050, making it the third-largest country in the world. Lower population growth is not an automatic panacea for poverty. Rather, an educated, healthy and resilient youth population, as has been the case in China, is the best catalyst for growth. However, an absence of planning or an allocation of insufficient resources towards harnessing this bulging population could spell doom. Ending poverty in Nigeria will entail improving the country’s economic productivity and opportunities for its citizens. This will mean investing in human capital potential and creating jobs for women and young people, increasing financial access and opportunities these groups in rural communities, and advancing technological innovation. Nigeria ranks 152 out of 157 countries on the World Bank’s Human Capital Index. One of the low-hanging fruits would be to embrace educational reforms that focus on developing new skills through robust and well-funded technical and vocational education and training programmes for those millions of Nigerians outside the formal school system, or who possess only a primary education. Unlocking private-sector partnerships through incentives and social impact bonds as well as boosting entrepreneurial ecosystems (with strong emphasis on apprenticeships) are key ways the government can help to spur growth, as has been proven in other countries. Also - and notwithstanding its limitations - access to microfinance has been proven to reduce poverty around the world. While there are valid arguments for the use of grants and other social safety payouts to people living in poverty, it is important to bring people into the financial system as this could help governments better plan and integrate services for the poorest of the poor. According to World Bank estimates, Nigeria is one of seven countries that are home to nearly half the world’s population. Financial inclusion is on the rise in Nigeria but penetration in its poverty-stricken rural areas is still very limited. The government’s regulatory support for digital and mobile-based financial products and adoption of blockchain technologies can help to supercharge financial inclusion. Beyond this, blockchain ledgers have also been used in countries like India to create and link digital identities with payments. This has ensured transparency, and has helped to plug corruption-related leakages in government disbursements to people living in poverty. Nigeria should emulate this and take things further.